NASHVILLE, Tenn.—On the heels of the box office success of Four Blood Moons, a docudrama based on the New York Times best-selling book of the same name, Inpop Records and Difference Media are poised to release the official motion picture soundtrack June 23. In conjunction with the film's DVD debut the same day, the 10-song collection is highlighted by three original selections inspired by the docudrama: GRAMMY®-nominated worship leader and recording artist Ricardo Sanchez’s “Your Kingdom"; “Weep No More,” by Dove Award-winning quartet Canton Junction; and the project's debut single, "Walk Through The Fire," by Southern pop/rock trio Consumed By Fire, which is currently making an impact at Christian AC and CHR radio formats. The soundtrack also offers new music from pop/hip-hop recording artist V.Rose, along with songs from Newsboys, Mat Kearney, JJ Weeks Band and Justin Unger, among others. Produced by Rick Eldridge and directed by Academy Award® winner Kieth Merrill, Four Blood Moons debuted March 23 on more than 700 theatre screens around the country. The special event saw numerous sellouts and placed it among the top three one-night docudrama presentations by Fathom Events. An encore screening in select markets was held April 9. Based on the best-selling book by Pastor John Hagee, which explores the supernatural connection of certain celestial events to biblical prophecy, Four Blood Moons features cinematic recreations of historical events in the United States, Israel and throughout the Middle East, along with expert testimonials from scientists, historians and religious scholars. Founded in 1999, Inpop is an independent entertainment company based in Nashville. Committed to the unique visions of artists and passionate about using music and film to inspire popular culture, key Inpop artist releases include Mat Kearney, V.Rose, Newsboys, the God's Not Dead Motion Picture Soundtrack, and Consumed By Fire. Difference Media, a division of Cornerstone Church in San Antonio, Texas, features some of the leading names in Gospel music, including Canton Junction, Ricardo Sanchez, Matthew Hagee, Aaron & Amanda Crabb, Tim Duncan, The Cornerstone Sanctuary Choir, John Hagee and The Hagees. Pastor John Hagee is founder and senior pastor of Cornerstone Church, a non-denominational evangelical church with more than 20,000 active members. Cornerstone is home to John Hagee Ministries, which telecasts Pastor Hagee’s radio and television teachings throughout America and to more than 190 countries around the globe. The ministry also operates GETV, a 24/7 online television and video on-demand broadcast of sermons and original programming (getv.org). 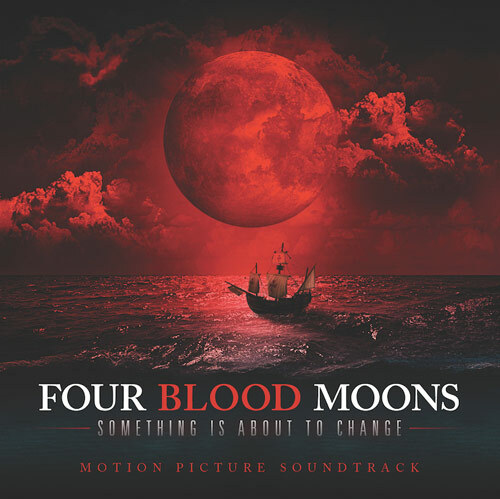 The Four Blood Moons Original Motion Picture Soundtrack, an Inpop Records and Difference Media release, will be distributed by Capitol Christian Distribution. For further information, visit turningpointpr.com, inpop.com or differencemedia.org. For more info on Mat Kearney visit the JFH Artists Database. For more info on JJ Weeks Band visit the JFH Artists Database. For more info on Consumed By Fire visit the JFH Artists Database.